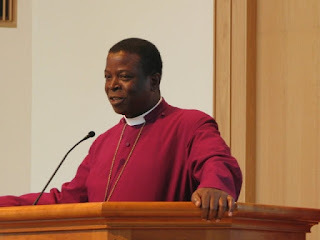 The Primate of Church of Nigeria Anglican Communion, Most Rev. Nicholas Okoh has called on Nigerian Government to fulfil its social contract with the people ahead of the 2019 general elections. Okoh made the call on Friday in Abuja during the consecration of three new Bishops and presentation of Archbishops at the Anglican Cathedral Church of St. Bartholomew, Kubwa Abuja. The primate equally appealed to the Federal Government to shield its citizenry from all forms of attacks. He noted that the reality on ground indicated that government still needed to do more to instill confidence in the citizens. His words: “Nigerians should insist that the government fulfills its social contract with the people to protect their lives and properties. “It is the responsibility of the people in power to protect its citizens; if there is a breach of security, we cry to government. He charged the newly-consecrated bishops to live up to expectation and advised them to be wary of both politicians and their followers.